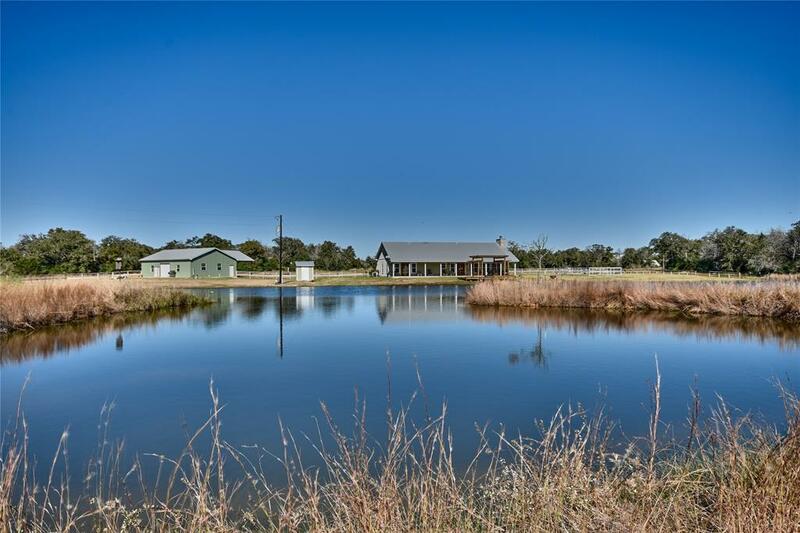 Beautiful ranch style home and guest house on 16+ acres located in Round Top, Texas! 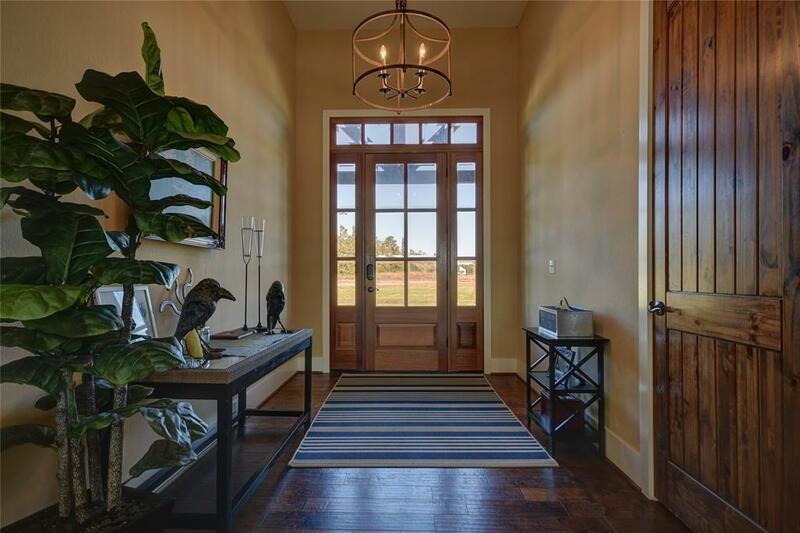 The 3 bedroom, 3 bathroom house welcomes you into a beautiful entry way with scraped wood floors. The living room has beamed ceilings, a wood-burning rock fireplace, built-in cabinets and a large wall of windows looking out to a pergola, and pond with a deck. The kitchen boasts granite counter tops, copper hanging lights, handmade knotty Alder cabinets, and a 6-burner gas range. Bedrooms have 10-ft ceilings with 9-ft doors, and the bathrooms have tile shower/bath combo. Master suite has built-in desk, his and her walk-in closets with built-ins, and french doors looking out onto the quaint property. 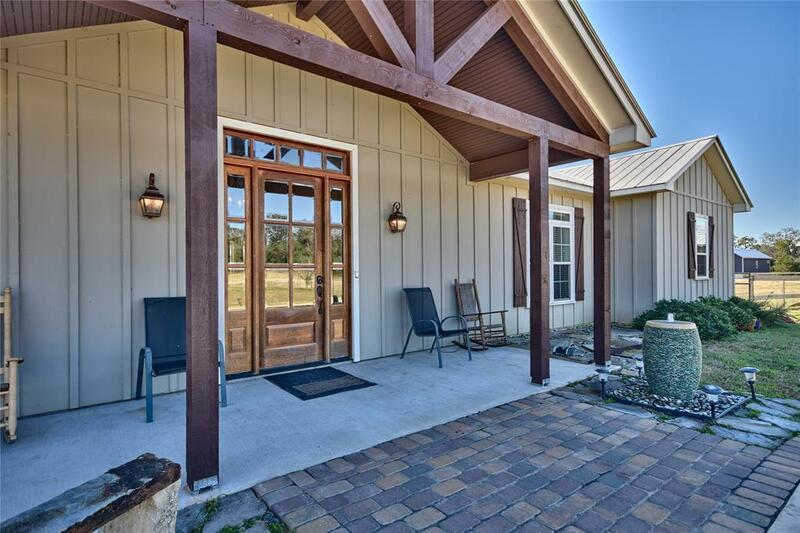 The 2 bedroom, 2 bathroom cabin has concrete counters floors throughout, concrete countertops and a large porch. 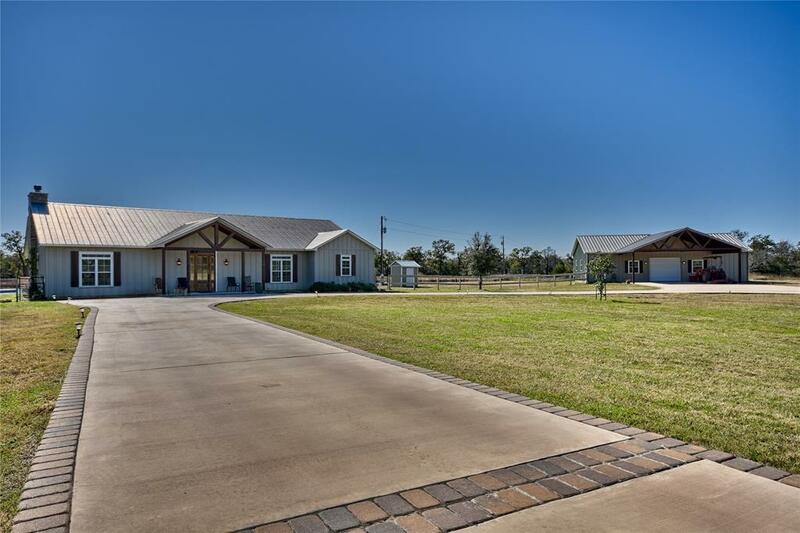 A 1,500 sq ft metal barn with carport sits next to the house with 2 roll-up doors.